Sharing an updated post from January 2015 to honor the memory of a retail fashion brand we all loved… And miss. The company was started by The Rosenbaum family in 1972 as Body Shop, with its first store in the Rosevelt Mall. After years of success, the company went public in 2010 with 5 million shares at $13 a share. As the company success grew, so did stock prices, rising to $30.69 in 2012. The company sales began to decrease in 2013 and never recovered from the downward turn, and now the doors are sadly closed. I worked for Body Central 30 years, it’s part of my legacy. A position that never felt like a job. Instead, it seemed like an extension of a huge family that will forever impact my life. As a new leadership regime took over, the great fall out began. For me, it was 2/22/13. Watching from a distance I saw “the great exodus” of tenure associates followed by declining sales results and a negative atmosphere in the organization. A difficult position for a brand that thrived on integrity and healthy unity. There are many lessons in this story that could benefit other corporate headquarters, board members and executives. I wish every CEO would investigate for themselves what caused this once successful brand to collapse. There is much to be learned and avoided. Board members should periodically seek face time with field executives, especially when sales are declining. Don’t be completely reliant on CEO’s and CFO’s viewpoints, particularly if these executives are new and unproven to the brand. (I could write a book on this subject). CEO’s could benefit from the same advice. Get out of your offices and get to know the organization! Being constantly surrounded with two or three executives and their influences is deadly. Be proactive and see for yourself. Travel alone occasionally. CFO’s should keep their focus on margins, profits and bottom lines. A great company is formed where great workplaces are built through day by day relationships that employees experience. It’s not about programs, checklist or even benefits. The defining principle is TRUST and through these relationships, trust develops. Trust for the people you work for. A sense of pride and excellence in the work performed. The Rosenbaum’s were extraordinary role models and I’m grateful for the positive influence they contributed to my life and many others. 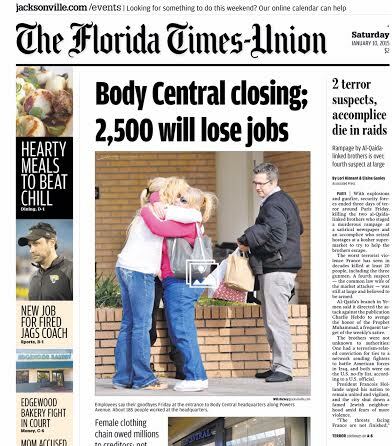 On the anniversary of Body Central’s closing, I look back and remember a legacy that will live on forever.